EndNot e is a software program that helps you collect and keep track of your references, and easily insert them into your research documents as in-text citations, footnotes or a bibliography in any of a large number of citation styles. Besides citation styles, a lot of manuscript Word templates are available in EndNote as well. 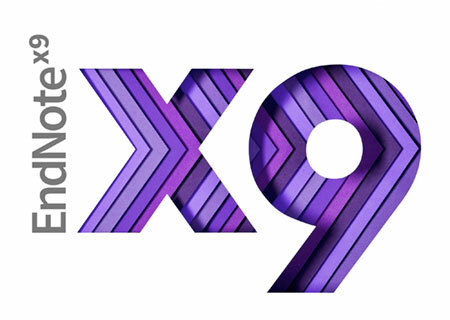 EndNote X9 is the supported standard and is compatible with Office 2010 as installed on the UM student workstations and Athena desktop computers. Maastricht University (UM) has a license for EndNote so you can use the program at the campus computers and/or install the program on a computer for home use. The ICT Service Centre provides technical support. The University Library provides user support and training. EndNote X9 is the supported standard, although older versions are supported as well. EndNote X7, X8 and X9 for MAC is NOT supported but you can check the ICT Services Manuals page for extra MAC user information. Although we do not support EndNote for MAC, this How To Use EndNote in 6 Minutes video (Macintosh Version) might help! MUMC has a license for EndNote. Support via Berto Bleijlevens en Ronald Slijpen (tel. 75111). Please note UM staff can make use of the manual (in PDF) on Installing EndNote on your computer for home use. Before downloading and installing EndNote for home use, check the ‘System and Software Requirements’ information, and follow the instructions under ‘Installing EndNote on your computer for home use’. EndNote X9 – including EndNote for MAC are available on the ICT Service Centre license software page. When prompted to enter your username and password, make sure to type the prefix unimaas\ … before your username (unimaas\username). Manual (in PDF) on Installing EndNote on your computer for home use. For Windows and Macintosh compatibility and system requirements, please visit: http://endnote.com/product-details/compatibility. Most problems occur when an EndNote library (.enl) and the associated .data directory are uploaded and stored in a cloud service like Dropbox, Google Drive, OneDrive, Box, Apple iCloud, Spideroak, etc. The same applies to Word documents containing EndNote code. These cloud services encrypt or compress your EndNote – and Word files – in such way that they will become corrupt. Often resulting in a complete crash of the EndNote program when you want to open these cloud-stored files. It is strongly advised to use other means to transport EndNote files and Word files containing EndNote code (Email, USB, etc.). Some problems with Endnote can be solved yourself by looking on the internet, however for some problems, it is hard to find information. The speaker in this course did a great job solving all problems and even provided tips and tricks on more advanced uses of Endnote. Even though I had already quite some experience with Endnote, I still learned some new tips and tricks from this course. Therefore, I would recommend this course to everybody involved in research. Recently, I attended the EndNote Advanced workshop after following the introductory workshop of EndNote, which was of added value since I was already using the program for organizing my references and writing. Especially the advanced workshop was very useful in a way that I now understand more of how to use EndNote most efficiently and even more important, how to prevent problems while using the program. The teacher was very enthusiastic, knowledgeable, was open to any type of questions and could answer them correctly. Attending the 2-hour course will save me lots of time when writing my next article. With EndNote it is possible to search directly for an article’s full text. To get the most out of this extra service, some settings have to be entered when using EndNote on your own computer. This is not a fool proof mechanism but can help to import PDF documents into EndNote. Manual (in PDF) on Finding Full text with EndNote. Manual (in PDF) on How to deal with abbreviated journal titles. With EndNote it is possible to share your library for research collaboration or to create a team library. More information on sharing your library. EndNote has some features that might be of great help when you want to write a review or conduct a systematic review. In the two articles downloadable in PDF – one describing the ‘de-duplication’ method, and the other on ‘reviewing retrieved references’ – it is stated that styles and a filter need to be installed. This might NOT be necessary when EndNote is already pre-installed on your computer. Please check the available styles and filters in your EndNote version, when already installed. When using EndNote on a stand-alone computer for home use, or when EndNote is not available on your UM-computer, the extra files can be downloaded from the UM-network under N:\UB_UB\Endnote (Filters and Styles). The names as used in the Filter and Styles directory correspond to the names as used in the two articles. When you do not have access to the N:-drive, please follow the instructions as described in the articles. Because some people seem to have problems understanding the “de-duplication” method in writing, a downloadable flowchart has been created depicting the steps to take, to make the de-duplication process as effective as possible. In addition, the flowchart describes a method to correct for abbreviated journals titles from PubMed, which makes the semi-automatic de-duplication with EndNote even more effective.